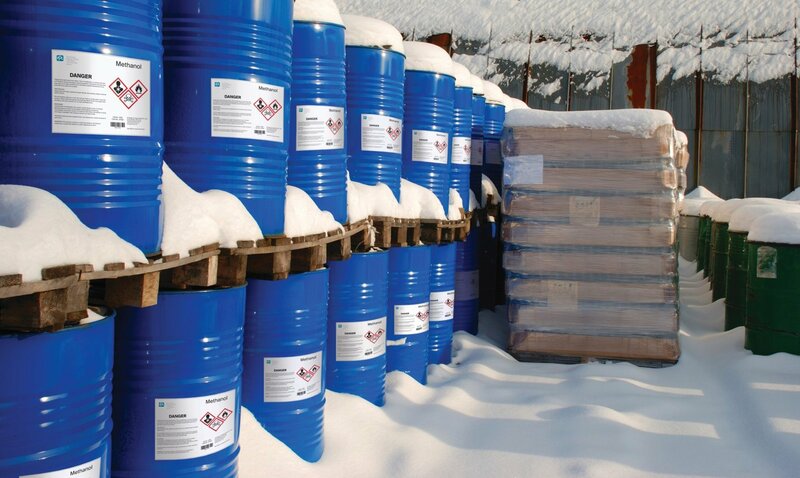 PCC’s self-adhesive BS5609 accredited label stock is an industry-proven solution for chemical drum labelling applications incorporating our exclusive marine adhesive with the PPG TESLIN® substrate. A durable synthetic paper, the PPG TESLIN® substrate has a micro-porous structure that enables it to form strong bonds with adhesives, inks and toners for long-lasting, reliable printed information; enabling our customers to obtain BS5609 Section 3 accreditation, should it be required. Combined with Premier Coating & Converters Ltd's exclusive BS5609 accredited (Sections 1 & 2) Marine Adhesive, this product has proven to be unrivalled in the industry and has been meeting the most extreme labelling challenges for over 25 years. PCC is able to offer the self-adhesive PPG TESLIN® construction in two decal widths, 1350mm and 1400mm, helping ensure the best yield possible to meet individual customer requirements. PPG TESLIN® substrate performs well with a wide range of high-temperature and digital colour printing technologies, including laser, inkjet and thermal-transfer printing. If you are transitioning from thermal transfer printing of black-and-white chemical drum labels to digital printing of GHS compliant labels, you can make the transition using the same label paper and label stock. Static build-up that many synthetic substrates are vulnerable to is dangerous in environments involving volatile chemicals. Static electrical currents have the potential to spark fires or cause shocks for press operators. Using PPG TESLIN® substrate reduces the potential for electrical discharge as its micropores naturally absorb and dissipate static. (PPG TESLIN® substrate passes ESDS.541 at 50 percent relative humidity). The first, is the unique microporous structure of the PPG TESLIN® substrate that absorbs inks and toners, locking the printed information into the face stock. This locking in renders the information impervious to scraping and other similar damage. The second is its powerful bonding with Premier Coating & Converters Ltd's exclusive BS5609 accredited (Sections 1 & 2) Marine Adhesive, that successfully bonds with a wide range of container surfaces. PCC’s Marine Adhesive and the PPG TESLIN® substrate have both earned BS 5609 (section 1 & 2) label certification for immersion in seawater. Making this product the self-adhesive label stock the right choice for your GHS labelling needs. The micropores in PPG TESLIN® substrate accelerate the drying time of inks and toners. This means that production throughputs aren’t affected by long waiting times for inks and toners to dry. Disclaimer: Teslin is a registered trademark of PPG Industries Ohio, Inc.